I’ve never been very good at Scrabble even though my mom is a whiz. I’m happy to get a 3 letter word down and she isn’t happy if she doesn’t get at least one BINGO in a game. We’re just on different Scrabble levels. So activities like making a word out of a bigger word have never been my strong suit. I’m determined that one of my boys beat my mom at Scrabble one day though, so I thought making this game would be helpful. (Watch out Gigi, we’re coming for you!). Okay, I’m not serious about that but I do think there is a certain benefit to being able to take random letters and form words. If it helps in Scrabble to, so be it. Just one more day left of Dinosaur activities! Make sure to get them all! 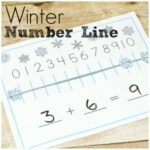 I have links to mine and Cassie’s printables on my 31 Days of Printables page! This is meant to be a quick activity so no laminating or anything. 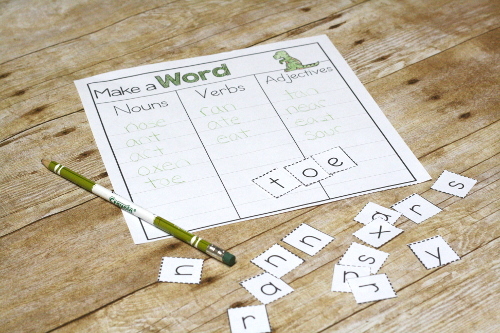 Just cut out the letters and make words! 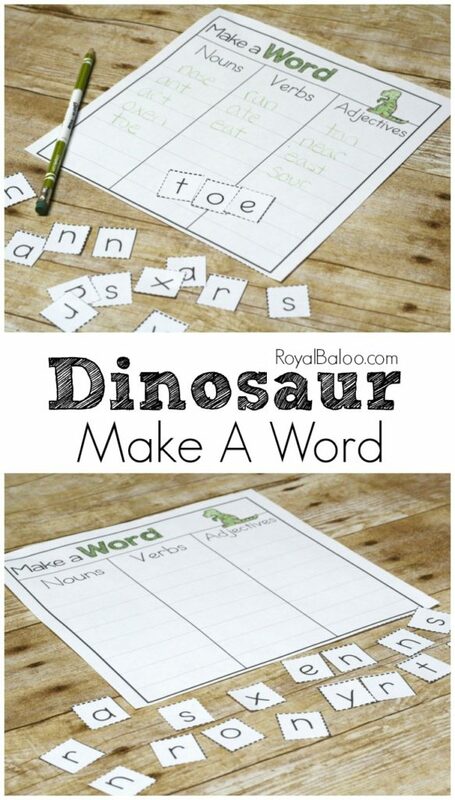 Dinosaur names are so long I figured it would be easy to find quite a few words in each dinosaur name! I guess we will find out. To be honest, the 3 letter words aren’t so hard. My trouble begins at 4 letters and up. Having the letters cut out really helps though! Being able to move the letters around makes finding words so much easier. 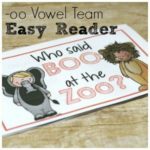 I added in the parts of speech bit to practice those concepts. I was also trying to push everyone to find longer and longer words. 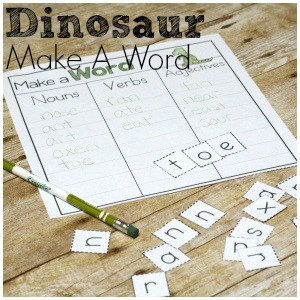 Go Here to Download the Dinosaur Make a Word Printable! 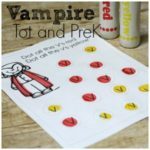 I know you want to be kept updated on what printables have been released. So just join this one a week newsletter and the links will land right in your inbox. Plus there is a special bonus printable that will just be in the newsletter on Friday.